Ayurveda Bansko » Blog » What is Kama in Ayurveda? What is Kama in Ayurveda? Have you ever thought about why our wishes and cravings come out of the nothing? Have you ever asked yourself what makes you strive for better life, more successful career, starting a family, being a respected member of society? And what about falling in love, love and sexual attraction? How comes you don’t fall in love with anyone but with a single person and want to make love to him/her, to have children with him/her, to start a family and grow old together? If you have ever wondered about any of these questions, you would be interested in learning more about Kama and its four vital cycles that Ayurveda finds in the lifetime of everyone. According to the Vedic science, the life cycles are the following: Dharma (fulfilling your life mission), Artha (achieving material goods), Kama (satisfaction and fulfilling your wishes) and Moksha (liberation). All four vital cycles are important for a complete life but being the simple creatures that we are, we care the most about fulfilling our wishes, which means we focus on Kama. Ayurveda which might be considered the mother of all healing systems we know has been practiced for more than 5,000 years. According to its beliefs, life goes through four stages and at every stage we have determinate purpose. Having this purpose clear makes us happy and satisfied. In Vedic science Kama literally means “wish”. The wish in any form. In other words, Kama is everything we do in order to reach physical, emotional and sensuous pleasure. Ayurveda also preaches that certain prescripts manage all life aspects. If the individual knows them and listens to his/her body, soul and emotions, he/she will not fall apart. Real pleasure doesn’t mean dissipated life, accumulating money and ignoring others. Real pleasure, or Kama, means living a decent life that makes you truly happy. Vedas prescribe: “Use the morning for spiritual practice, eat pure food and have a pure lifestyle”. In order to reach Kama and satisfaction with what we have, what we do and who we are, we first need to take care of our health. Being the oldest holistic system recognized by the World Health Organization, Ayurveda helps by teaching us how to listen to our bodies, souls and minds and how to keep the balance. Because if we disturb the balance of our bodies, souls or minds, we cannot reach pleasure and satisfaction and, what’s more, we will lose our capacity of enjoying life. Vital cycles that we all go through are important for the maturing process of the human being. However, in order to follow our path, we need to listen to our bodies because they reflect who we are. Words may be false, our mind can also mislead us but the body always says the truth. And Ayurveda doctors are those who understand in the best and most correct manner the body signs. They are the only ones capable of “talking” to our bodies and understand how they feel or if they need help. What is an Ayurveda examination like? The doctor shall listen to… your pulse instead! Nadi Pariksha or Pulse Diagnosis is an ancient science (part of Ayurveda) that can define not only the physical condition but also the state of mind and the spirit, only through pulse. The doctor just puts his hand on your wrist to feel your pulse. By its rate he determines your moment condition (body, mind and soul state) and feels any imbalance that prevents you from fulfilling your wishes and feeling happy. For a broader view a Constitutional Evaluation (Prakriti) is performed in order to help the doctor obtain a complete idea (which foods, herbs, therapies, emotions, etc.) would be useful for you and which would worsen the doshas imbalance. Ayurveda doctors have improved so much during the years that now an expert can define just by a pulse diagnosis in which dosha there is an imbalance or which organ or tissue work under pressure, or how stressed the mind and the body are. Pulse diagnosis is transferred from teachers to apprentices (guru-kula) and cannot be practiced by random people. Only those who never ever rewarded their bodies with a massage could state that it is not a healing, pleasant and energising experience. During the last few years massages became popular in Bulgaria and there are plenty of massage studios and centres that offer different kinds of massages – classic, Swedish, Thai, etc. However, Ayurveda massage is different and these are not just words. Vedic practices, therapies and massages are extremely important healing and preventing tool and a perfect way for reaching balance and recovering the body, mind and soul. No other Ayurveda massage would make you feel more satisfied with your life. For this massage warm natural oils are rubbed in your body by the masseur using different techniques. Abhyanga massage’s effect is long-term and apart from balancing doshas, it relaxes the nervous system and relieves the body and the mind from the accumulated stress. What ancient Vedic texts say about Abhyanga is that this massage rejuvenates, embellishes and makes life longer. 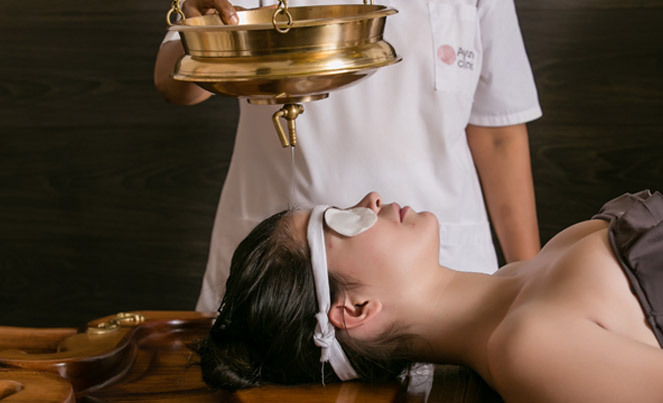 Ladies prefer this kind of Ayurveda massage because therapy focuses on the Marka spots of the face, shoulders and neck, and has a lifting effect. Mukha Abhyanga stimulates the lymph flows, relaxes face muscles and delays skin ageing. Shirodhara massage is extremely efficient for deep relaxation. If you are mentally overloaded and you feel stressed and unhappy, Shirodara is the best choice for you. The massage consists of pouring a small amount of warm natural oil on the forehead and the scalp. The masseur treats these areas with gentle movements because this is where the Third eye – the centre of all emotions and sensations – is located. In Ayurveda “marmas” are the sensitive spots or areas of the human body. Massaging marma sports energises, releases the accumulated tension and improves the overall condition of the body, mind and spirit. 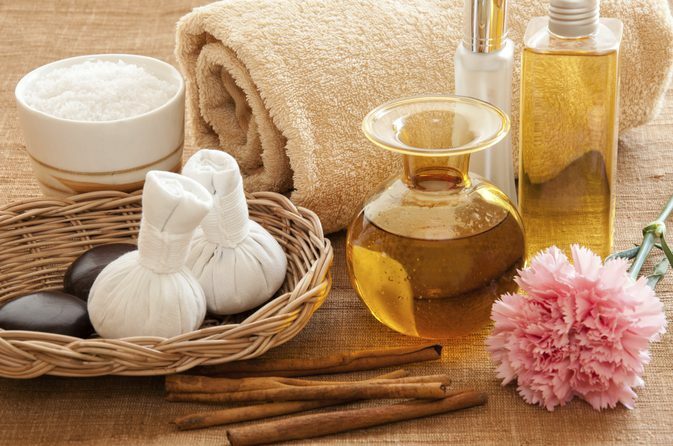 How are Kama, Artha, Dharma, Moksha and Ayurveda massages related? Ayurveda massages help us feel better, overcome problems (both health and spiritual), and thus we can reach the highest level of the cycle pyramid – Mokska or liberation. LIKE THIS ARTICLE? SHARE WITH YOUR FRIENDS! Previous Post: What is Dharma in the Ayurvedic medicine?